Jos. A. Bank Clothiers, Inc., 500 Hanover Pike, Hampstead, MD 21074. Change Frequency or Unsubscribe or Modify your email subscription. office parks for affordable housing. option 4, or send us an email at rbcsubmit@huduser.org. efforts in a future issue of Breakthroughs! Our first class action is ready to be filed. 2. written evidence that the appraiser was subsequently removed from said approved appraiser list. Said written evidence can be in the form of E mailed correspondence or regular letters. Those three items in hand...then our class action lawyer will file a complaint based the RICO act. He is ready - we have spoke several times. FARES/Quantrix, LSI,FiServe, HSBC, LandAmerica, Citibank, Suntrust; any of them and/or others. Our lawyer will tackle them one by one. They have successfully done class actions and are ready to rock. He came to me via an appraiser relative of his (Hello Diana). He is serious, and will file the class action complaint, once the above three items are in hand. Some of this evidence may already be on my forum or other forums. All three items are needed as the lawyer is determined to win the case, and not have it dismissed for lack of preliminary evidence. The Federal Deposit Insurance Corporation will hold a conference call today, November 21, at 4:00 p.m., Eastern Time, with bankers and other interested parties to discuss the final rule to implement the Temporary Liquidity Guarantee Program (TLGP). Senior FDIC staff will provide a brief overview of the final rule and then be available to answer questions. Previous conference calls have experienced heavy call volume, so participants are encouraged to call early, but no more than 30 minutes before the start of the call. To participate, please call 1-888-790-3946 or 210-795-9627 and enter the access code: 9172716. The Tax Credit Allocation Committee (TCAC) has been approached by several parties expressing concerns about TCAC conducting a first round competition in 2009 during a time of such great uncertainty in the tax credit investment market. TCAC is interested in hearing from tax credit stakeholders on this matter, and is therefore conducting a brief poll. Specifically, TCAC seeks your input as to the merits of holding a single funding round, rather than two, in 2009. San Diego, CA: Investors who put their money in TICs (Tenants In Common) investments may be wondering what happened to their money. Like many other people whose investments have lost value in recent times, people with TICs were told that their investments were safe, only to learn they were not. Part of the reason that TICs were pushed as a safe investment may have to do with the commissions associated with the TICs. ""There were billions and billions of dollars invested in TICs because brokers got huge commissions for recommending them," says Ron Marron, founder of Investors Advocates. "The commissions were probably the largest commission product the broker would have in his portfolio. There was both incentive and pressure to sell the TICs. "People invested in 1031 TIC exchanges and those who invested in these TICs at the advice of their broker or advisor could be at a loss. A lot of these properties are now going to have higher vacancy rates, especially in the commercial arena. A lot of those properties will not be viable. Even with the properties that are residential, the cost to run them can be high. So people with TICs are in danger of losing their investment. The only person making money was the broker." So, what are TICs? Well TICs are a way of holding a title to real estate. Essentially, the investor owns an undivided fractional interest in a property. Those who have 1031 TIC exchanges defer their capital gains and own real estate but do not have to manage the property. The investor gets to share in a portion of the income, tax shelters and growth of the property, as well as having a separate deed and title insurance for the TIC interest in the property. TICs are not for every investor. They have very limited liquidity and no active secondary market. They also come with long-term holding periods. Finally, investors who cannot tolerate risk may not find TICs to be suitable investment options. How risky are TICs? Risky enough that DBSI, a real estate investment firm in Idaho, recently declared bankruptcy, despite having $2.6 billion in assets in 2008. The problem is that as the economy declined, income from rental properties failed to cover DBSI's debt. The company now faces at least 10 lawsuits from investors, some of whom invested millions of dollars in the company's properties. Two companies that Marron is currently looking into are Triple Net NNN Realty and Linsco Private Ledger. Marron says those companies are major players in TICs. "Investors were misled about what they were investing in and the risks were downplayed," Marron says. "Markets go up and go down, nothing seems risky when the markets are going up." CalcZone, online Zonal Cavity Calculation. CalcZone is a zonal cavity (lumen method) calculation tool*. Quickly estimate light level (illuminance), number of luminaires, and lighting layout, for a simple room or building - then print a detailed one-page report. Note that the use of the zonal cavity lumen method is limited to a rectangular space with one fixture. For more complex calculations or for a detailed "point-by-point" calculation a more robust lighting calculation program such as AGI32 or Lumen Micro must be used. CalcZone requires Adobe Flash Player. 1. Navigate to a product page either by browsing through the online product catalog or searching for a keyword . 2. If the product has photometry - click on the link "For Photometry Information click here." 3. Select the "Calculate" link under the logo. 4. Follow the simple steps shown. *Numerous variables may affect lighting calculations. Lightolier is not responsible for discrepancies between CalcZone results and that of real-world installations. Click here for the Product Home page. Join Commercial Property News, Multi-Housing News and Contract tomorrow for this interactive web seminar and hear from leading economists how the current financial bailout strategy will impact your business. The U.S. financial market is enduring one of the worst crises in its history. The investment banking model as we know it is effectively gone, and many commercial banks are spiraling downward as well. The federal government has stepped in with a massive bailout plan as it strives to rescue the economy, establish calm in the financial markets and gain the confidence of consumers and businesses again. But there is no precedent for a government bailout of this size, leaving many commercial and multi-housing property owners, investors, developers and service providers wondering what it all means for their business. Attend this online-only event, and learn how to protect your investments and navigate through this challenging environment. 5. We'll be in Florida for N.A.R.! With Thanksgiving just around the corner, it's time to start thinking about where you'll get your turkey this year. Buying property with turkey hunting land is a great way to assure you'll have a fresh bird in time for the holiday. These properties provide hunting grounds for many wild animals and have been referred to as "recreational paradises." The National Wild Turkey Federation (NWTF) provides tips for fall turkey hunting, which include finding wooded areas surrounded by large fields, pastures or clear cuts. "Birds will use these islands of cover to roost, feed and lounge during the day," explained the NWTF. They also suggest finding open woods when looking for a good hunting ground because turkeys avoid thick woods where predators can hide out. This Indiana "Hunter and Wife Retreat" provides a cozy cabin on 24 acres of land with an abundance of wild turkey. In South Carolina, there is "Great Hunting Land for Sale" just a mile from Myrtle Beach. You can find more turkey hunting grounds by entering "turkey hunting" into the keyword search option under the "search properties" tab. Beginning in January 2009, If you have an ENHANCED listing, you will receive a free 60 word classified in the Land And Farm Bulletin. STANDARD listings will no longer receive this benefit. To get a listing into the Land And Farm Bulletin in 2009, simply let us know that you want to keep your listing at the new ENHANCED level. Simply click on "Keep your ENHANCED Listings past 2008!" on the My Properties page. A report conducted by the Open Space Institute reveals that over the past 20-30 years there have been big changes in land ownership. Using the Mahoosuc region of Maine and New Hampshire as an example, the study showed the most significant change to be a switch from primarily industrial ownership in the 1980s, to primary ownership by Management Organizations and Real Estate Investment Trusts. Industrial ownership is now nearly nonexistent, resulting in the concurrent decrease in forestry research and less public access to the land, the report explained. The study found the short term affects of this shift in ownership to create many challenges. The most prominent of these issues were: loss of jobs, increased cost of land, managers and owners turning to development to meet their goals, and limited tourism and public access. As winter approaches, many of us in the Northern part of the country are looking to get out of the cold. But before jumping at the first flake of snow, why not embrace the winter in a beautiful piece of waterfront property that will soon become an ice skater's dream. Whether you're an experienced skater, or you have never stepped on ice before - a waterfront escape is perfect for winter activities. Runner Sled Race: One person sits on a sled while their partner pulls them along the ice. The object of the game is to see which team makes it around the designated area the fastest. Ice Bowling: Fill 10 plastic quart or liter bottles and several gallon jugs with water and set them outside to freeze overnight. To play, set up the frozen quarts or liters as pins, and use the frozen gallon jugs to knock down the "pins." Broomball: This game is played like hockey, but instead of sticks and a puck, you use brooms and a rubber ball. Set up two pairs of boots as goal posts and start the game with a face-off at center ice. In Hays, Kansas, you can get "21.55 Acres" that not only offers a gorgeous view, but also an acre of wetland, perfect for ice skating. "10+ Wooded Acres" in Turner, Maine boasts land with total privacy and a large spring that can become a skating pond in the winter. So instead of jumping on a plane and heading south for the winter, lace up those skates and enjoy the earth's natural ice rinks this year. ANAHEIM (November 2008) – Southern California Multiple Listing Service (SoCalMLS), the second largest MLS in the nation, takes great pride in being the sole MLS providing its 50,000 customers the document delivery service MongoFax™, at no additional cost. MongoFAX is the fastest most cost-effective way to send and deliver important paper documents. With MongoFAX SoCalMLS customers can use any fax machine to digitally deliver paper documents instantly to any email address in the world. MongoFAX™ empowers users to instantly scan, convert and Email hardcopy documents as searchable PDFs. All that is needed is an ordinary fax machine and MongoFAX™ Email cover page. SoCalMLS customers are able to significantly reduce courier, mail, and overnight delivery costs; dramatically reduce paper and toner expenses; close transactions faster; deliver cleaner documents ensuring that they don’t get lost and easily maintain a digital archive copy of your files. About SoCalMLS: For 15 years SoCalMLS, the second largest MLS in the U.S.A., has prided itself on a record of outstanding customer service while supporting a vast array of products and services to as many as 55,000 real estate professionals throughout the Southland – earning itself the reputation as the preferred provider of real estate information technology services. For more information please visit news.SoCalMLS.com or e-mail info@SoCalMLS.com. About MongoNet: MongoNet's creative, collaborative environment is located in North Beach, San Francisco. www.MongoNet.net . Backed by the Founders of Adobe Systems and other investors, MongoNet®, has developed a patented open scanning service that provides the utility of PDF scanning from the world's fax machines (U.S. Pat. Nos. 6,424,426; 7,079,275; 7,164,488 and other patents pending). The service, called MongoFAX™, turns the world's 130 million fax machines into searchable PDF scanners - with no added hardware or software. To help our lenders make the soundest underwriting decisions possible, we are instituting new policies to provide greater guidance to appraisers. Please review the new Market Conditions Addendum to the Appraisal Report (Form 1004MC) and the updated Appraisal Frequently Asked Questions for guidance about the Addendum as well as information about other appraisal topics. OSHA's Web site recorded more than 110 million visitor sessions from the public in FY 2008. Visitors viewed potentially lifesaving safety and health information on topics such as bloodborne pathogens and personal protective equipment from more than 180 million pages during this period. The OSHA Web site went online in 1995 and traffic has consistently increased by 12-15 percent annually. The Web site is considered one of the most valuable public outreach tools. It provides employers and employees with all the information they need to create and maintain healthful and safe workplaces. The Department of the Treasury, the Federal Deposit Insurance Corporation, and the Federal Reserve have recently put into place several programs designed to promote financial stability and to mitigate procyclical effects of the current market conditions. These programs make new capital widely available to U.S. financial institutions, broaden and increase the guarantees on bank deposit accounts and certain liabilities, and provide backup liquidity to U.S. banking organizations. These efforts are designed to strengthen the capital foundation of our financial system and improve the overall functioning of credit markets. The ongoing financial and economic stress has highlighted the crucial role that prudent bank lending practices play in promoting the nation’s economic welfare. The recent policy actions are designed to help support responsible lending activities of banking organizations, enhance their ability to fund such lending, and enable banking organizations to better meet the credit needs of households and business. At this critical time, it is imperative that all banking organizations and their regulators work together to ensure that the needs of creditworthy borrowers are met. As discussed below, to support this objective, consistent with safety and soundness principles and existing supervisory standards, each individual banking organization needs to ensure the adequacy of its capital base, engage in appropriate loss mitigation strategies and foreclosure prevention, and reassess the incentive implications of its compensation policies. The agencies expect all banking organizations to fulfill their fundamental role in the economy as intermediaries of credit to businesses, consumers, and other creditworthy borrowers. Moreover, as a result of problems in financial markets, the economy will likely become increasingly reliant on banking organizations to provide credit formerly provided or facilitated by purchasers of securities. Lending to creditworthy borrowers provides sustainable returns for the lending organization and is constructive for the economy as a whole. It is essential that banking organizations provide credit in a manner consistent with prudent lending practices and continue to ensure that they consider new lending opportunities on the basis of realistic asset valuations and a balanced assessment of borrowers’ repayment capacities. However, if underwriting standards tighten excessively or banking organizations retreat from making sound credit decisions, the current market conditions may be exacerbated, leading to slower growth and potential damage to the economy as well as the long-term interests and profitability of individual banking organizations. Banking organizations should strive to maintain healthy credit relationships with businesses, consumers, and other creditworthy borrowers to enhance their own financial well-being as well as to promote a sound economy. The agencies have directed supervisory staffs to be mindful of the procyclical effects of an excessive tightening of credit availability and to encourage banking organizations to practice economically viable and appropriate lending activities. Maintaining a strong capital position complements and facilitates a banking organization’s capacity and willingness to lend and bolsters its ability to withstand uncertain market conditions. Banking organizations should focus on effective and efficient capital planning and longer-term capital maintenance. An effective capital planning process requires a banking organization to assess both the risks to which it is exposed and the risk management processes in place to manage and mitigate those risks; evaluate its capital adequacy relative to its risks; and consider the potential impact on earnings and capital from economic downturns. Further, an effective capital planning process requires a banking organization to recognize losses on bank assets and activities in a timely manner; maintain adequate loan loss provisions; and adhere to prudent dividend policies. In particular, in setting dividend levels, a banking organization should consider its ongoing earnings capacity, the adequacy of its loan loss allowance, and the overall effect that a dividend payout would have on its cost of funding, its capital position, and, consequently, its ability to serve the expected needs of creditworthy borrowers,. Banking organizations should not maintain a level of cash dividends that is inconsistent with the organization’s capital position, that could weaken the organization’s overall financial health, or that could impair its ability to meet the needs of creditworthy borrowers. Supervisors will continue to review the dividend policies of individual banking organizations and will take action when dividend policies are found to be inconsistent with sound capital and lending policies. The agencies expect banking organizations to work with existing borrowers to avoid preventable foreclosures, which can be costly to both the organizations and to the communities they serve, and to mitigate other potential mortgage-related losses. To this end, banking organizations need to ensure that their mortgage servicing operations are sufficiently funded and staffed to work with borrowers while implementing effective risk-mitigation measures. Given escalating mortgage foreclosures, the agencies urge all lenders and servicers to adopt systematic, proactive, and streamlined mortgage loan modification protocols and to review troubled loans using these protocols. Lenders and servicers should first determine whether a loan modification would enhance the net present value of the loan before proceeding to foreclosure, and they should ensure that loans currently in foreclosure have been subject to such analysis. Such practices are not only consistent with sound risk management but are also in the long-term interests of lenders and servicers, as well as borrowers. Systematic efforts to address delinquent mortgages should seek to achieve modifications that result in mortgages that borrowers will be able to sustain over the remaining maturity of their loan. Supervisors will fully support banking organizations as they work to implement effective and sound loan modification programs. Banking organizations that experience challenges in implementing loss mitigation efforts on their mortgage portfolios or in making new loans to borrowers should work with their primary supervisors to address specific situations. Poorly-designed management compensation policies can create perverse incentives that can ultimately jeopardize the health of the banking organization. Management compensation policies should be aligned with the long-term prudential interests of the institution, should provide appropriate incentives for safe and sound behavior, and should structure compensation to prevent short-term payments for transactions with long-term horizons. Management compensation practices should balance the ongoing earnings capacity and financial resources of the banking organization, such as capital levels and reserves, with the need to retain and provide proper incentives for strong management. Further, it is important for banking organizations to have independent risk management and control functions. The agencies expect banking organizations to regularly review their management compensation policies to ensure they are consistent with the longer-run objectives of the organization and sound lending and risk management practices. The agencies will continue to take steps to promote programs that foster financial stability and mitigate procyclical effects of the current market conditions. However, regardless of their participation in particular programs, all banking organizations are expected to adhere to the principles in this statement. We will work with banking organizations to facilitate their active participation in those programs, consistent with safe and sound banking practices, and thus to support their central role in providing credit to support the health of the U.S. economy. The federal bank, thrift and credit union regulatory agencies today jointly issued for comment proposed Interagency Appraisal and Evaluation Guidelines that reaffirm supervisory expectations for sound real estate appraisal and evaluation practices. The proposed guidance builds on the existing federal regulatory framework to clarify risk management principles and internal controls for ensuring that financial institutions' real estate collateral valuations (both appraisals and evaluations) are reliable and support their real estate-related transactions. The initiative is intended to respond to heightened concerns over appraisals and credit quality. The proposed guidance would replace the 1994 Interagency Appraisal and Evaluation Guidelines to incorporate recent supervisory issuances and reflect changes in industry practice, uniform appraisal standards and available technologies. As with prior issuances, the proposed guidance would apply to all real estate lending functions within a federal financial institution, including commercial and residential lending departments, capital market groups, and asset securitization and sales units. Volatility within certain real estate markets and associated credit risk underscore the importance of independent and reliable collateral valuations. In this regard, there is an expanded discussion of portfolio management techniques and circumstances under which an institution should update or replace a collateral valuation for an existing real estate transaction. Additional detail on the agencies' expectations for an independent appraisal and evaluation function. Greater explanation of the agencies' minimum appraisal standards, including clarification of requirements for appraisals of residential tract developments. Revisions to the Uniform Standards of Professional Appraisal Practice, which are incorporated by reference in the agencies' appraisal regulations. Risk-focused appraisal and evaluation reviews separate and apart from an institution's compliance function. New appendices – Appendix A provides further clarification on real estate transactions that are exempt from the agencies' appraisal regulations; Appendix B addresses acceptable evaluation alternatives and use of automated valuation models; and Appendix C contains a new glossary of terms. The agencies request comments on all aspects of the proposed guidance. Comments are due to the agencies sixty days after publication in the Federal Register, which is expected shortly. A copy of the Federal Register notice with the proposed guidance is attached. The disruption in the capital markets means many commercial real estate transactions have been cancelled or postponed, while the weak economy has eroded otherwise healthy market fundamentals, according to a commercial market update and forecast presented at the 2008 REALTORS® Conference & Expo here. In some cases, economic conditions led to properties becoming undervalued. “Although many people value commercial real estate in diversifying their portfolios, it’s important to consult with a Realtor® specializing in commercial real estate to learn about options and opportunities in a given area,” said Yun. Duncan said commercial mortgage-backed securities have a chance of coming back faster than residential mortgage securities because there is a feedback loop. “Due to ratings based on performance, there is an incentive to produce well,” Duncan said. As a result of these challenges, transaction volume in commercial real estate fell 70 percent from the second quarter of 2007 to the second quarter of 2008. Yun’s forecast for four major commercial sectors analyzes quarterly data in the office, industrial, retail and multifamily markets. Historic data were provided by Torto Wheaton Research. The loss of jobs is reducing the demand for office space. Office vacancy rates are projected to rise to 14.4 percent in the second quarter of 2009 from 12.9 percent in the second quarter of this year. Annual rent growth in the office sector is likely to be 3.2 percent this year, but it should decline 0.4 percent in 2009; rent grew 8.0 percent last year. Net absorption of office space in 57 markets tracked, which includes the leasing of new space coming on the market as well as space in existing properties, is expected to be 14.7 million square feet this year and 10.9 million in 2009, contrasted with 57.3 million square feet last year. Healthy exports have been offsetting lower demand for industrial space from the economic slowdown, but uncertainty in the current environment could weaken overseas demand, even with relative weakness of the dollar which has been a primary support of export activity. However, American goods remain attractive to overseas buyers. Vacancy rates in the industrial sector are forecast to rise to 10.8 percent in the second quarter of 2009 from 9.9 percent in the second quarter of this year. Annual rent growth will probably be 1.1 percent this year and 1.0 percent in 2009; it rose 3.6 percent last year. Net absorption of industrial space in 58 markets tracked is anticipated to be a negative 16.7 million square feet this year, then reversing to grow to 35.3 million in 2009; net absorption totaled 120.3 million last year. A clear pattern of building to suit specific needs remains, leaving many obsolete structures unoccupied. Consumer spending will continue to tighten for the foreseeable future, with further dampening of the retail market. Vacancy rates in the retail sector should be 10.4 percent in the second quarter of 2009, up from 9.7 percent in the second quarter of this year. Average retail rent is projected to grow 1.2 percent in 2008 before contracting 0.9 percent in 2009; rent grew 3.2 percent last year. Net absorption of retail space in 53 tracked markets is likely to shrink by 2.6 million square feet this year before increasing by 2.8 million in 2009; last year 11.1 million square feet were absorbed. The outlook for the apartment rental market – multifamily housing – continues to stay fairly positive as many potential first-time home buyers remain on the sidelines. Multifamily vacancy rates are expected to rise to 5.9 percent in the second quarter of 2009 from 5.4 percent in the second quarter of this year. Average rent is forecast to grow 3.9 percent in 2008 and 4.0 percent next year, compared with a 3.1 percent gain in 2007. Multifamily net absorption is estimated at 61,400 units in 59 tracked metro areas this year and 188,200 in 2009, in contrast with 234,400 last year. More than 82,000 NAR members offer commercial services, and 60,000 of those are members of the Realtors® Commercial Alliance. The next Commercial Leading Indicator index will be November 20; the next commercial real estate market forecast is scheduled for December 17. Washington, D.C.--Multifamily mortgage loan originations remained low in the third quarter, but witnessed a slight increase as compared to the second quarter of 2008, according to the Mortgage Bankers Association's (MBA) quarterly survey of commercial/multifamily mortgage bankers originations. Third quarter originations for all commercial property types were 53 percent lower than during the same period last year. The year-over-year decrease was seen across all property types and most investor groups. "Uncertainty stemming from the credit crunch, and now the deteriorating economy, has led to a continued pull-back among both lenders and borrowers," says Jamie Woodwell, MBA's vice president of Commercial Real Estate Research. "The need among most investor groups to conserve capital, and the uncertainty of how the slowing economy will affect property fundamentals, is fueling a prolonged pause in all aspects of commercial real estate activity." Year-over-year, multifamily property loans in the third quarter 2008 saw a 30 percent decrease, a much smaller hit compared to most other property types, which saw over 50 percent decreases. On the other hand, when compared to the second quarter of 2008, third quarter originations for multifamily properties saw a 9 percent increase. 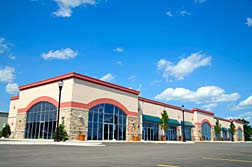 The only other commercial property types to see an increase were industrial and retail properties. Third quarter 2008 mortgage originations for all sectors were 11 percent lower than originations in the second quarter of 2008. Decreases in overall commercial/multifamily mortgage originations were led by a drop in commercial mortgage-backed security (CMBS) conduit loans and loans for commercial bank portfolios. These numbers show the impact of the recent credit crunch and other market disruptions. Year-over-year, among investor types, conduits for CMBS saw a significant decrease of 93 percent. There was also a 71 percent decrease in loans for commercial bank portfolios, and a 27 percent decrease in loans for life insurance companies. The dollar volume of loans for Government Sponsored Enterprises (or GSEs - Fannie Mae and Freddie Mac) saw an increase of 15 percent. As compared to the second quarter, commercial bank portfolios saw a decrease in loan volume of 55 percent but loans for conduits and life insurance companies increased, by 67 and 27 percent respectively. GSE loan volume increased as well (12 percent). However, these increases were overwhelmed by the size of the decline in loans for commercial banks. As the pace of the changing business climate escalates, the challenge to remain competitive and profitable has increased in the manufacturing sector. When aptly managed and measured, corporate real estate does add value to the corporate bottom line. The Spring 2009 IAMC Professional Forum will address forces that drive change in the global economy and offer specific how-tos for identifying, measuring, and increasing corporate real estate’s shareholder value contribution. North Carolina’s accolades do not end there. As reported by Forbes.com, "it has the secondlowest labor costs in the country (18 percent below the national average), and incomes are projected to increase 3.8 percent annually over the next fi ve years, the second-fastest rate in the country." Its success is due to a century of positive growth taking North Carolina from a predominantly agricultural state to a major industrial center. Almost 17 percent of the state’s workforce is employed in manufacturing. In fact, North Carolina is the eighth largest in the country in manufacturing and the foremost textile and furniture producer. Current capitalization rate recommendation: Income property buyers should consider capitalization rates of 7% minimum. Included in determining the capitalization rate should be an attentive lease rollover analysis. The probabilities are that releasing lessees will be executed at lower rates. Consequently, all income from leases that expire within one year has to be re-evaluated when determining the net operating income to compute a capitalization rate. The collected income from those leases has to be adjusted to what the probable income would be. Remember, the lease that offers the option to renew at a previously negotiated rate is a unilateral agreement (at the discretion of the lessee). If market rates are higher, the lessee will execute. If market rates are lower (as is the case in most instances), the lessee will not execute the option, but will re-negotiate to get the lower market rate. Where does the economy go from here? For informed analysis and answers, refer to tomorrow’s essay “America’s Current Economic Downturn, The Solution, Future Income Property Investment Opportunities” on www.NetGainRealEstate.com. Once the presidential election is over and the dust settles, there will be many questions that need to be answered. What will be the effects of the new financial package on the commercial and multi-family real estate sectors? What will the real estate finance market look like? How do you protect your business and avoid pitfalls? Join Commercial Property News, Multi-Housing News and Contract just two weeks after the election for this interactive web seminar and hear from leading economists how the current financial bailout strategy will impact your business. Attend this online-only event, and learn how to protect your investments and navigate through this challenging environment. (real estate appraiser, real estate appraisal) WASHINGTON — The Office of the Comptroller of the Currency (OCC) today released the fall 2008 edition of the Community Developments newsletter focusing on the recovery efforts in the Gulf Coast region. Under the Community Reinvestment Act (CRA) regulations, financial institutions may receive CRA consideration for disaster recovery-related activities that help to revitalize or stabilize a major disaster area for 36 months following the date of designation by the federal government. However, where there is a demonstrable community need to extend the period for recognizing revitalization or stabilization activities in a particular disaster area to assist in long-term recovery efforts, this time period may be extended. In September 2008, the bank regulatory agencies extended by an additional three years the period during which loans, investments, and services that help stabilize the areas impacted by hurricanes Katrina and Rita will receive positive CRA consideration. This issue of Community Developments highlights bank involvement in Gulf Coast redevelopment activities and describes how financial institutions across the country can earn positive CRA consideration for recovery related activities. The newsletter also discusses the Housing and Economic Recovery Act’s expansion of national banks’ public welfare investment authority which now allows a broader range of bank investment activities in designated disaster areas. The Community Developments newsletter can be accessed on the OCC’s Web site at: http://www.occ.gov/cdd/CD_Fall08.pdf. It takes a Super Site to serve a super-sized project. For the fifth year in a row, Site Selection is scouring North America and beyond for land tracts measuring 1,000 acres, or more, that are targeted for industrial development by a single end user. Site Selection's January 2009 issue will feature its Super Sites update, including a comprehensive and informative chart listing multiple data points and contact information. If you have a site anywhere in the world that fits those criteria, please send data and contact information to Managing Editor Adam Bruns at adam.bruns@conway.com by Tuesday, Nov. 18.